Taking care of our skin is not as easy as one, two, three. We need to look for skin care products that will give us positive results for a long period of time. I don't have flawless skin and my skin tend's to act up every time I change my skin care routine. I have sensitive skin which is 80% hormonal and I already tried almost all commercial brands from the cheapest up to high-end ones. The worst state of my skin was during college years and after giving birth. Would you believe me if I tell you that I once go to facial salons every week for cleaning? Yes, if my memory serves me right that was twelve years ago. During that time, my only hope to temporarily stop my breakouts was through facial cleaning and pricking- Ouch! I know :( Even if my parents told me to stop because nothing good really happened to my skin, I still persisted and to tell you honestly I've wasted my time, money and effort because after a year, nothing really had changed. Fast forward, my skin literally stopped from breaking out after college graduation. I don't know what happened but it just stopped like that. I'm so happy that I don't have to think about it again and again until I become so depressed with my pimples, whiteheads and blackheads. What I remember was I use the same skin care products day and night and observe proper hygiene meaning no popping of pimples and I avoided touching my face every now and then. But another sad story happened to my skin when I became pregnant, zits started to appear all over my face again, this time I'm really sure that it was hormonal and I cannot treat it with commercial brands because I'm conceiving. This time I resorted to natural and organic soaps to address my skin care problems and voila! Until now, natural and organic products became my skin's bestest friend. Don't think that I have clear skin now, yes it's 80% clear from major breakouts but there are times that even if I use the products that made my skin better, chances are I still suffer from cystic acne, blackheads and whiteheads because of my hormones. Lets also add another factor, my age. I'm on my early 30's now so anti-aging products tops my list when it comes to skin care. So after reading forums and had a little bit of research, I considered taking skin care supplements that will help restore my skin's radiance and give my pale white skin some glow that it needs even without makeup. If you'll ask me why I resorted to taking skin care supplements, then my answer is that I believe in taking care of our body/skin inside and out. Are you excited to know more what I'm taking right now? Click CONTINUE READING to find out! Skin Regeneration System enriched with Procyanidins, Grape Seed Extract, Vitamin C and Vitamin E, this capsules restores skin's natural radiance by enhancing production of collagen level and promoting skin regeneration. Grape seed extract is an industrial derivative of grape seeds, extremely rich in antioxidants and oligomeric proanthocyanidin complexes (OPCs). The extract has a wide range of therapeutic properties in healing wounds and treating conditions such as high cholesterol, atherosclerosis, macular degeneration, poor circulation, nerve damage, as well as preventing cancer. Although many of these health claims are still not completely backed up by "high quality" studies, strong evidence is beginning to emerge on grape seed extract's extensive health benefits. Grape seed extract is available as a dietary supplement in either a liquid form, tablets or capsules. 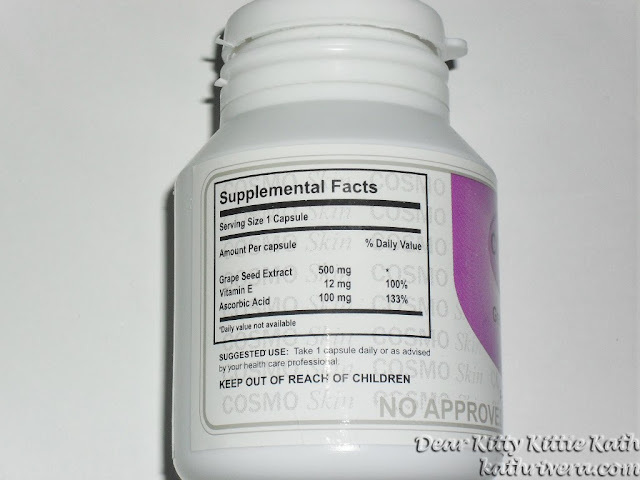 Supplements generally contain between 50 to 100 mg of the extract. instruction for use: Take 1 capsule daily or as advised by your healthcare professional. I take one capsule every night before bedtime because this is the best time to drink supplements when our body is resting. I already consumed the whole bottle and now I can say my thoughts about the product. I also take Vitamin E and Folic Acid but this is for my body's preparation if ever I get pregnant again next year. 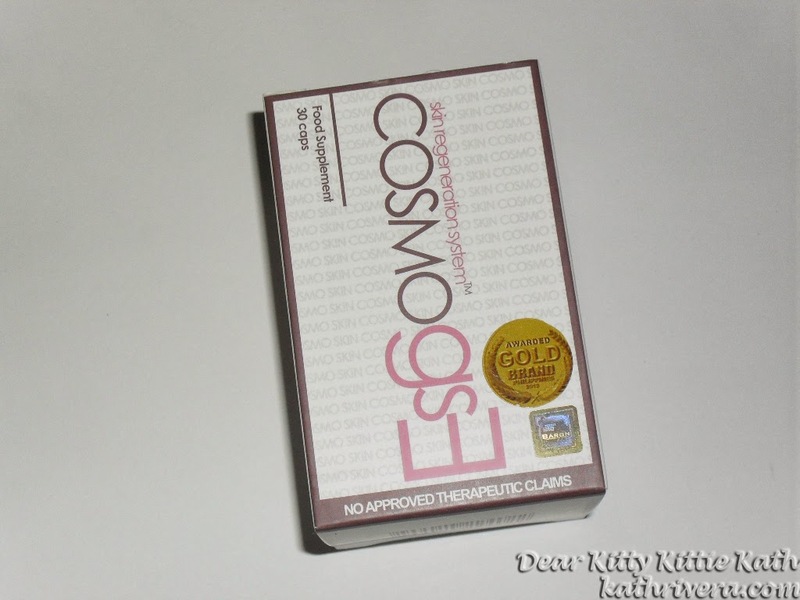 The product comes in a container bottle, boxed and well-sealed. There's no funky odor/scent coming from the pill so those with sensitive nose that cannot tolerate taking soft gel capsules of GSE, this one's for you. Doesn't give me stomach ache, nausea, dizziness or allergic reactions. Aside from 500mg of GSE, it also contains a fair amount of Vitamin C and E.
I noticed that my wounds heal faster. There's a batch, manufacturing and expiry date printed on the bottle. Comes in convenient 5+2 promo pack. This is considered as sample pack good for 1 week. So for those who want to give this product a try, sample packs are available. I experienced headache for three days while taking this supplement. Made my scalp itchy but tolerable. I noticed this every time I take any brand of grape seed extract. Will I purchase? Yes, it's in the realm of possibility. I give this a 4.25/5 recommendation. Since I've taken more than three brands of grape seed extract before, I can compare the quality and quantity that each brand gives (will also make a review of those brands soon). I recommend this brand to those whose also taking Cosmo Skin Glutathione because they came from the same brand and it's produced to compliment both. If you're a drink glutathione for aesthetic purposes and your acidic, this supplement is the best replacement for vitamin c. I'm not a professional and I just based this recommendation from the forums that I've read. 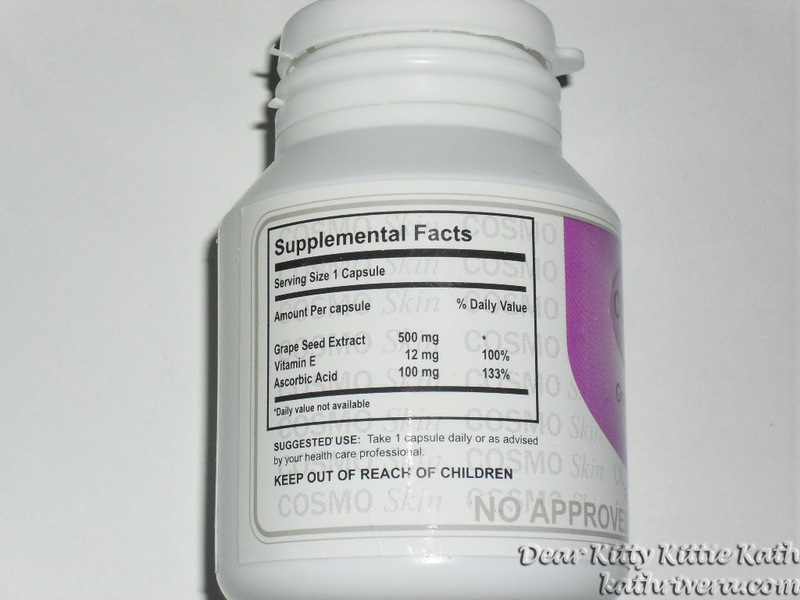 But if you want to take this supplement on its own, then take it at night when the skin regenerates during sleep. You can see your skin glowing after two to three weeks of religiously taking this supplement everyday or every night. Is this generic? I use ishigaki l-gluta plus a generic vitamin c, since it is cheaper, and pretty much effective too. Been thinking of taking some kind of supplement for my skin and this seems great. Will check it out! I think having this kind of supplement for good skin really helps keep it fresh. @Sheela Marie Castillo- this is branded sis, one of the best brand of GSE in the market today. @earthlingorgeous- that's what in my mind dear. baka I'm not hiyang sa iba pang components nag gse. @Ari- Check this out, I recommend this especially if you have the budget naman. @Franc Ramon- yes sir, glowing and refreshing skin everyday! nice review... thanks for this.. Where can I buy this one??? @Rhea Liza Munoz- available at all Watsons Health and Beauty section. 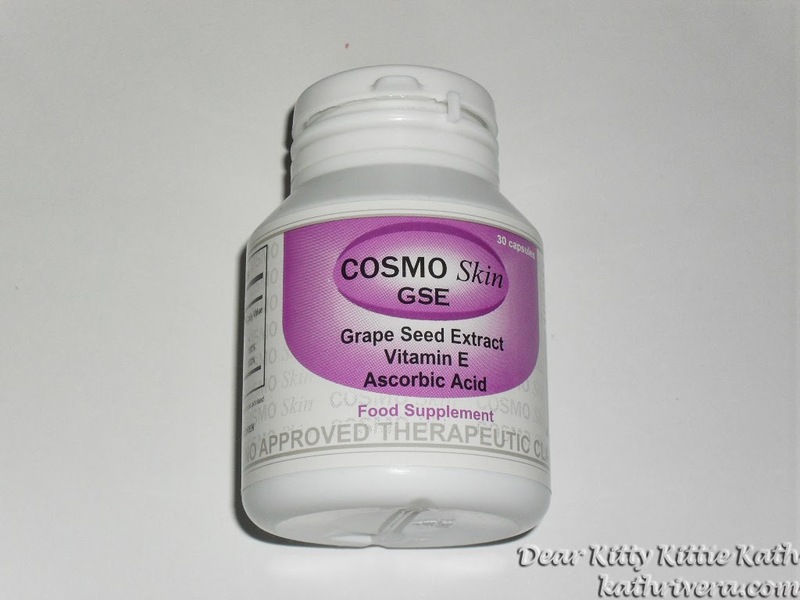 is it possible that I am not hiyang to cosmoskin glutha? already used up two bottles and before taking i have pimples on my face but after weeks mas dumami siya but I never stopped thinking it is not the cause. before taking glutha kasi i use beauche set when I stopped lumabas pimples ko pero ngayon mas dumami siya. i need your advice guys should i stop na? What happen to your face now did it change. This time im using cosmo skin gluta and cosmo cee . I realy dont know kung hiyang ako but my husband keep on saying na ituloy ko lang but im worried kasi andmi ng breakouts which is di naman ganun dati ang face . I just need a flawless face. If the breakouts is matagal na, prolly hindi ka hiyang sa product. Let's wait if fhebs will still reply to this thread. Thanks! @fhebs diez- hello there! Thank you for visiting my blog. I haven't tried taking Cosmo Skin Glutathione so I cannot share my thoughts on this pero kung 2 months na may pimples ka pa din you're prolly not hiyang sa brand na yan. Then I've heard once you used those whitening sets, once tinigil mo nga maglalabasan yung pimples, depende din sa skin type. so maintenance is the key. I have never heard of this product for hair. I will be looking into it for myself. This one I've never heard of or tried...I usually go as Organic as possible. I enjoyed your review! I'm going to have to look for this brand. In my 30s I am still plaques by some break outs. I would love clearer skin and for the most part do but there are still those times when breakouts happen!! I've never used products such as this, nor have I really read up on them that much. I'll look into them more before I think about trying them. I don't take any supplements at this time. But as I am getting older, I'm thinking this may change in my future. Kudos to a great product review. Great review.. this is something to take a deeper look into. Very cool. I totally need to start taking this just for the health benefits alone!! My skin is going to be a wonderful side effect! I break out a lot as well when changing different products. This sounds really good though, will have to check this out. I saw grape seed extract at the grocery store the other day and had no idea what it was for. Thanks for the article. Grape seed extract is something new to me too. It does seem to have a lot of benefits. Interesting product. I am finding a lot more people are taking supplements etc for their skin care needs. Thanks for sharing. This is a really well-thought-out and put together review. Thank you for your insights and knowledge. I couldnt take it if it causes headaches. And I have notices that with a few supplements,and have always wondered why. This was an awesoem review though very well done. Very interesting! I'm always looking for natural solutions to my problems, but I get a little bit leery about health supplements because they're not monitored very strictly. I'll ask my doctor about this supplement because it sounds like it would beneficial for me! Hmmm, I have never heard of this before! Sounds interesting though. I will have to look more into this. Thank you so much for sharing! Great review, will definitely try this in future.